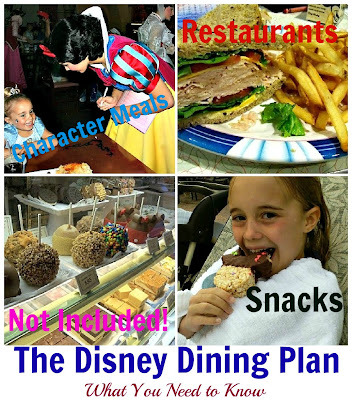 It's ALL Good in Mommyhood: Disney Dining Plan: To Do or Not To Do? I am a new follower of your super cute blog! I have to say that you should totally put warning on this post...I think I gained ten pounds just by looking at that last picture!! We've never gone this route (although if my dad goes next time, we'll be all over it...). I know I've seen a lot of people on the last day of their vacay scrambling to use up their dining plan, which is crazy to me - we eat a lot, too. How old is your youngest? Ours are age 8 to 21 months (now) and my girls, especially, aren't big eaters. Does everyone get in on it in your family? You know what, I have a lot more questions for you I think. Maybe I'll just use your contact e-mail up above and send you one when you get back instead of filling up your comments section. 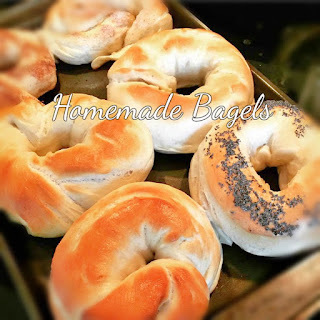 I"m new to your blog. I found it through pintrest. We went to DW this last Feb and had gotten the free meal plan and that was great for us, since it was free. OMG we will never pass up the opportunity to get this whenever we do go back. It was WONDERFUL. This is such a wonderful thing that they do. Granted you do have to stay at least 3 or 4 days(at least when we went). Which was no problem. We were ok with not getting the dining plan since we were just fine with not doing an actual sit down dinner. Anything to save on money. We did go to Wolfgang Pucks express cafe and LOVED IT! We went back a second time. I loved the meal plan as well, my advice is to have your sit down meal for breakfast. Its easier to figure out which park you will be in, in the morning rather than have a reservation for dinner and realize you no longer want to be in that park by 2pm. Also, the bigger breakfast stays with you longer, we had to force ourselves to eat our snacks, we had like 15 left at our last day. I am planning a big family trip to Disney next September. I would want to be able to eat in Downtown Disney a few times during our stay. Do you know if any of the restaurants there accept the Disney meal plan? Its more than a year away, but I'm so excited to go!! 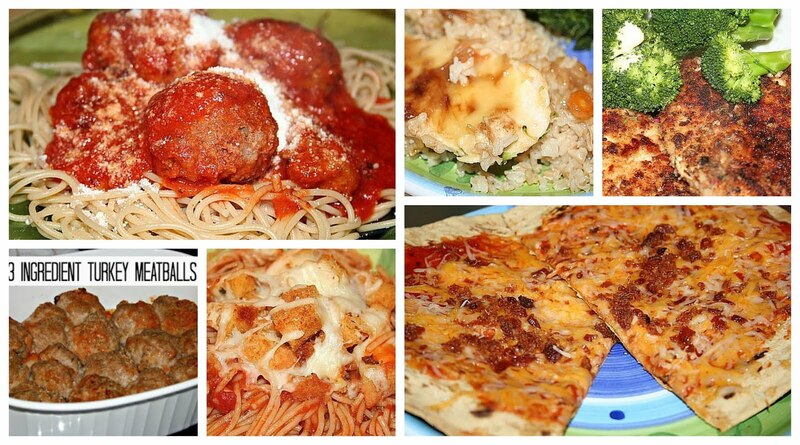 Im also wondering if restaurants at Downtown Disney take the Disney meal plan? We are planning our trip and are SO excited to do the Meal Plan! Some of the Downtown Disney spots honor the dining plan. It changes year to year. The WDW dining apps list them and you can also find this out from the WDW DINE phone line. Have you ever eaten at the Boma Buffet? I have gotten mixed reviews. Also, the coral reef? Jul, I have heard Boma is amazing. I haven't eaten there because we don't stay in AK Lodge, so to eat dinner there would take a nice chunk of time. And Coral Reef is another restaurant we haven't done - because we are not seafood eaters. But again, I have heard nothing but great things! Boma is great. Lots of choice for even picky eaters (in other words, kids). We had a great waiter who even went and heated up some different soup for my son, since he liked the one kind so much, the waiter said "I know another kind you'll like too" and went and heated it for him. (and he was right, my son loved both). He then brought us the recipes for both! We had amazing meals at Coral Reef and it only took 1 DDP for lunch and dinner. They have the best mussels and lobster ravioli in the world!! Desserts were equally awesome! My husband and I really like The Liberty Tree Tavern in Magic Kingdom. The meal is served family style and they bring you as much food as you want. It is like Thanksgiving dinner, so good. Also the Main Street Bakery for lunch is great. The kids meal is the same as the adults and the sandwiches are huge, about pound of meat on each one. And you get dessert, the chocolate chip cookie my daughter chose was as big as her head and the brownie my husband and I got was about a 5" square. I keep ziploc bags in my pack for those to snack on later. If I book a stay at a disney resort throgh travelocity, expieda etc... can I call disney and still do the dinning plan? Sorry but this is not correct. You have to be booked on a PACKAGE directly from Disney or through a travel agent (not wholesale) in order to do the meal plan. That means you have to get your hotel, tickets, and meal plan all through Disney. If you book through travelocity, Orbitz, etc, you are booking the room only. Even if you get tickets through these wholesalers, you CANNOT add the dining plan, as you are purchasing your items a la carte. However, you may find that, depending on your eating styles and the current offers and promo codes, buying a la carte is much cheaper. Remember, the dining plan does NOT include appetizers (unless you go Deluxe or higher), alcohol, or tips - these can really add up. Plus signature dining uses two table service credits which could leave you short a meal. Even with the dining plan, you should plan room in your budget for significant out of pocket costs. Hi Jodie - We plan on staying 6 nights/7 days at the resort and doing the DDP meal option. This means we get a snack, counter service & table service. Question 1 - what do people do for breakfast? Question 2 - if we use 2 table service entitlements to eat at say Cinderella's Royal Table this means we lose a table service on another night right? So with this meal plan we have to pay for breakfast each day and cover dinner for the nights we use the 2 table service entitlements? Hi! For breakfast, I recommend bringing quick breakfasts such as granola bars, dry cereal, etc for an "on the go." Most people go this route. Or they book a large buffet breakfast, have a snack entitlement for lunchtime, and a sit down dinner. Cinderellas castle does take 2 entitlements. We usually book the princess dinner in Norway (Epcot) instead. If you do Cinderella's Castle, rest assured that most time you sit down you will have an abundance of food. Most likely four people can share three counter service meals. We usually split a few lunch entrees for counter service which leaves a few extra counter service entitlements for a day you use 2 entitlements for a sit down meal (such as Castle meal). If I could add my two cents, since the meals are given per night stayed at the resort if you get there late in the day-say after dinner time because of a late flight time you will have credits left from that day. We normally get there around 7pm and just use a snack credit. We use the Deluxe Plan and this leaves us with 2 table service meals per person, freeing up credits for at least one special meal-although we do the Princesses in Norway too (same ones usually) so we'll use the double credit for California Grill one night and watch the fireworks in comfort! Hi! I was wondering, do I have to get the dining plan for every day I'm in the resort, or can I do 3 days of dining plans during a 5 day stay and stock up on some cheap/different meals? Thanks! Unfortunately...Disney requires you to do meal plan for every night of your stay. Have a great trip! You mentioned that alcohol and gratuity are not included...are they things that you can charge to your room for the check out day like on a cruise or at a club? Thanks for all of the handy tips. We are toying with taking our 4 girls. You are making it seem doable! i was wondering, since no cash is required for meals but gratuity is not included in sit down meals, how do you pay or know what to leave? do you still get a bill? On that note...CAN you pay cash for your gratuity? Or is it better to just bill it all to your room? As an adult child (21 at the time) I went with my mother and brother and got the DDP. We brought back leftovers EVERY DAY!!! I highly suggest it! Just spent five days at Disney with the DDP. Almost too much food, but better than not enough. I would definitely revisit the character meals at Norway in Epcot and Tusker House in Animal Kingdom. I may not return to Crystal Palace in Magic Kingdom only because we waited a really long time to meet all of the characters. I also highly recommend the steak dinner at Mama Melrose in Hollywood Studios. Nice atmosphere and great to sit down and relax. The counter meals we had were better than I anticipated, so it was a great overall experience. Left with a few snack credits unused. We went there this year and it was sooooo wonderful. The food was great and the dining plan was so easy. We ate way more than we should've and could've. I loved it. It was so easy to just give them the card and they helped you figure out if you had enough per meal. Love this! I see so many Bloggers play down the Dining Plan but there are so many benefits to it that people don't see. I always do the 1 counter service, 2 table service and two snacks. We don't do character breakfasts because the food at the hotel food courts is the same as the food at most of the breakfasts. Exception only seen at the Boma buffet in Animal Kingdom, and even that had mostly the same foods but with a few dishes that were different. One thing people don't mention is that it's MUCH easier to get an autograph from the Princesses or Mickey at a meal than it is to stand in a long line that often doesn't provide time to ask questions and talk like the meals do. There is something special about wandering through the park and deciding "Hey Mickey Ice Creams for everyone!" Knowing you're not going to blow your budget and....that it was paid for before you walked into the park that day. Love this post! Thanks for putting it up! So many Bloggers say it's a waste or not worth the time, but if you stay on property it makes such a difference! Last trip I added up our receipts and not ONE meal for my husband and I (Honeymoon trip) was less than $100. We prefer to do the Deluxe plan and call ahead for reservations and in a 5 day, 6 night stay always manage to see Mickey and all his friends as well as all the Princesses without standing in one single line up! AND eat at a fancy place like California Grill or Narcossee and get a different Fireworks experience. Plus, it's a great way to really get that Disney experience as the staff and decorating in all the restaurants is really well done!